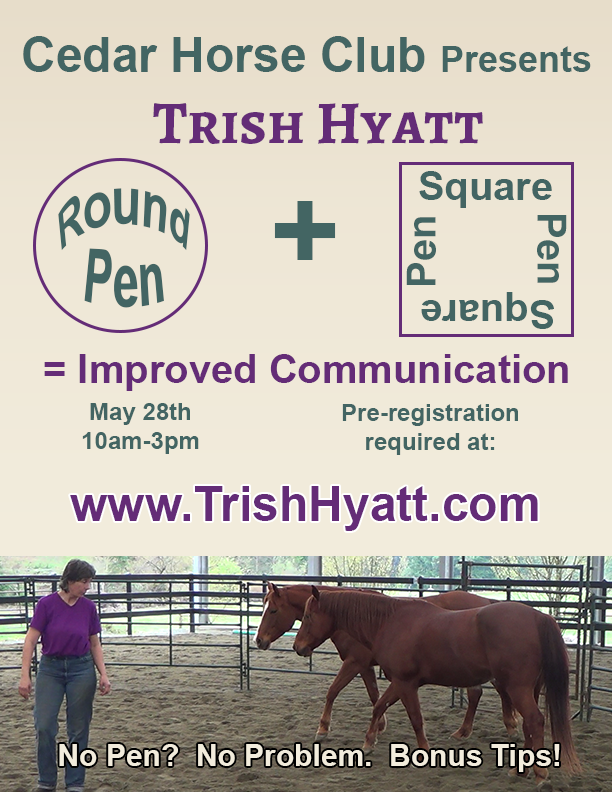 ﻿﻿﻿﻿﻿﻿﻿This clinic will be for 4 horses at a special CHC price of﻿﻿ $50 $40﻿﻿ each. Please arrive by 9:30 to settle your horse in. Auditers can register below - Participants please contact me ﻿HERE﻿. Auditing is Only $10 for 4+ hours of Instruction. Questions from everyone are encouraged. Knowledge is cumulative and we start promptly at 10am. 12-1 Social Time - Bring Your Own Lunch OR Something for the Potluck . Dress Warm, Bring Food, a Beverage and a Chair. I am using the Paypal button on the next page. I am sending an eTransfer (Put password in comment box below) I am making other arrangements (describe below). 1. Payment is due with registration. 2. Registration is non-refundable but may be transferred by prior arrangement. 3. No Dogs are allowed and I will leave my Dog AT HOME - NOT in the car. After submitting you should be redirected to the Thank you/Payment page. If not, there is an error to correct in this form. If you don't receive a copy of this form by email in the next 10 minutes, it may not have gone through. Please try again.